Disk or shoe fertilizer input. Micro pelletizers for insecticides or starter fertilizers. 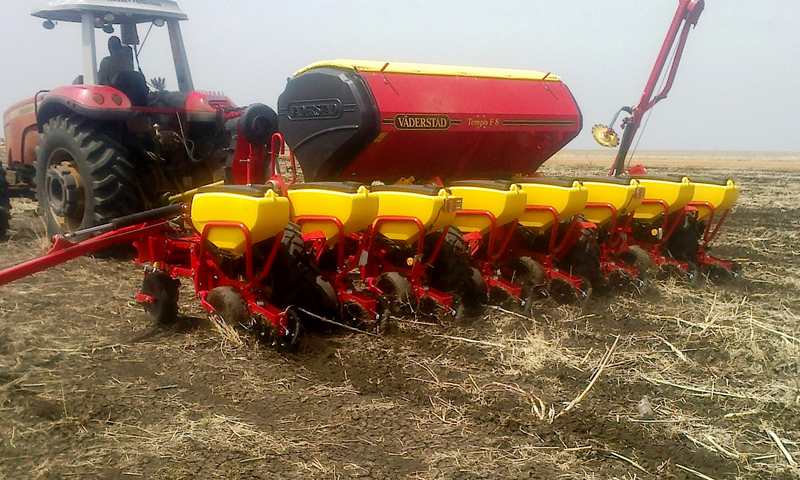 Pro wheels for more accurate seed spacing. Monoshox EU shock absorbers for higher productivity. These drills allow planting & sowing at working speeds between 6 and 9km / h, depending on the options selected and the quality of tillage. They are also suitable for planting very small seeds such as Sesame. The Väderstad "Tempo" planter now enables quality planting at very high speeds (up to 18km/hr!). This is a real revolution in this field. 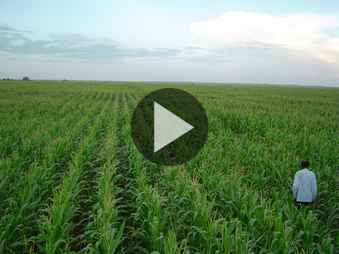 In rainfed agriculture in areas in which we operate, the planting date is key to achieving high yield potential. 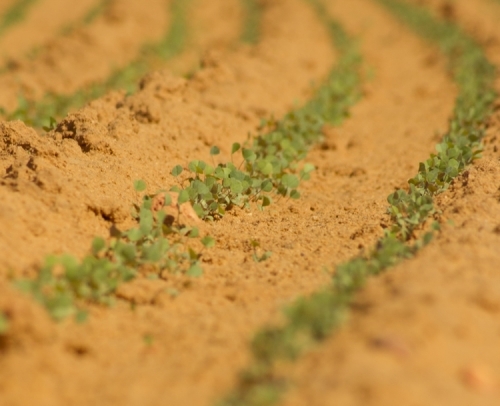 Planting should be done as soon as possible after the first rains, so that the crop can benefit from a maximum of rainfall throughout the growing cycle. This high working speed is possible thanks to its unique seed selection system: the Gilstring Seed Meter (named after its creator). 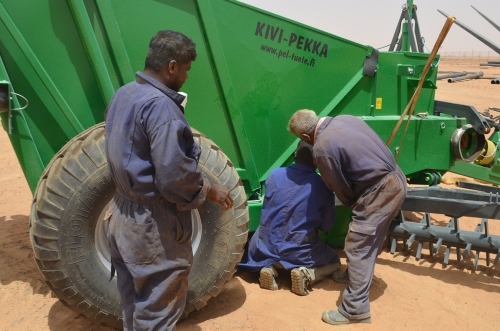 Its pressurised seed selection system (not depression as in the majority of competitor seed drills), combined with a rubber press wheel located just after the seed ejection tube, greatly reduces vibration problems at high speed, and maintains regular distance between seeds. The Gilstring Seed Meter is driven by electric motors, and managed by the Väderstad high-performance control station (similar to that of Rapid drills) allowing quick adjustment of seed density and immediate visualisation, on the screen, of sowing quality for every row: gaps and duplications are displayed instantly. So adjustment of the drill is greatly simplified and planting errors highly limited. 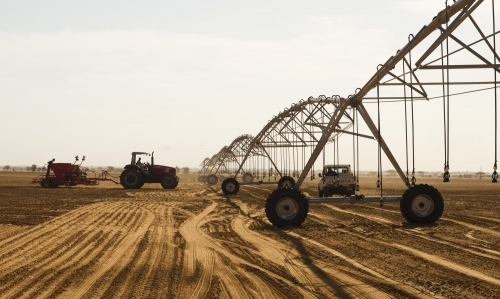 In many African countries, irrigation is traditionnaly done using surface irrigation systems. The crop is sown in rows (about 80cm) on ridges and water flows between them in the channels thus formed. Sowing therefore must retain the shape of the ridges without crushing them, otherwise irrigation is impossible. 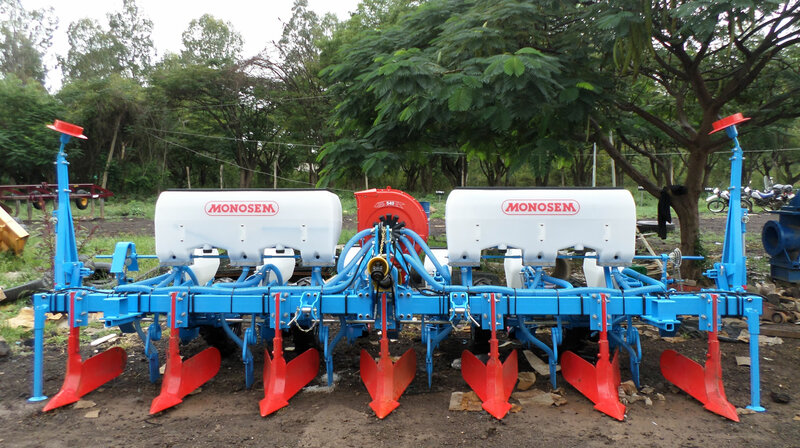 ICS, in cooperation with Monosem, has developed a combination drill with ridger. 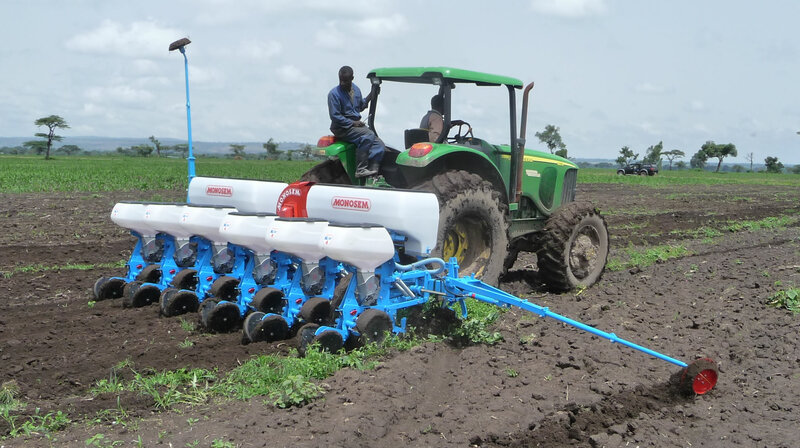 Ridging and planting are done in one pass, which saves time, but also allows more accurate planting because the sowing units are perfectly positioned on top of the ridges. 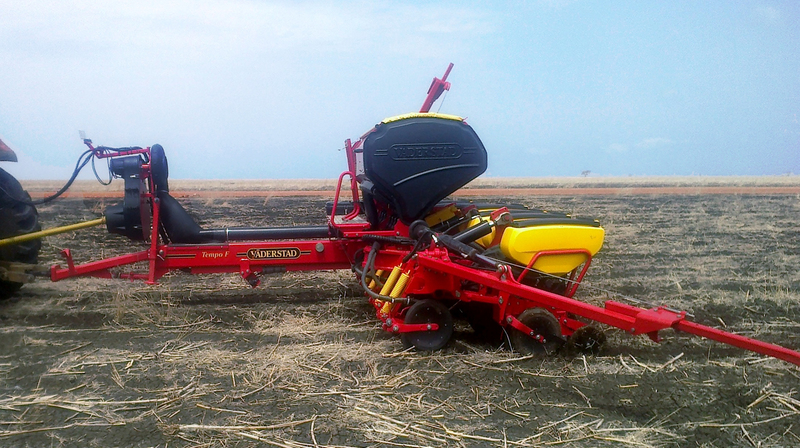 The seed drill used is the Monosem NC planter, which has light but robust elements and a wide tamping wheel that limits the soil pressure and prevents damage to the ridges.